I firmly believe in the United States Constitution, particularly the rights afforded to every individual under the Due Process Clause of the 5th and 14th Amendments. It is not only my job, but also my life passion to uphold and protect those Constitutional rights. With these ideals in mind, I attended the Thomas Jefferson School of Law, where I gained the knowledge to support my passion for law. I refined my knowledge while working with several prominent law firms. However, it was my experiences working at a Public Defender's Office that grounded me and helped deepen my understanding of the situations many individuals accused of crimes go through. This human perspective is critical in developing open communication with clients and gaining their trust. I founded Joslyn Law Firm with the mission of strongly advocating for the rights of men, women, and minors who face criminal charges. No matter the charges that my clients face, they are assured they are being given the highest level of attention and all my knowledge and dedication. Located in Columbus, Ohio, my law firm represents clients throughout Central Ohio, including out-of-state visitors. My legal practice is primarily focused on criminal defense. This includes OVI (operating vehicle under the influence), domestic violence, probation violation, drug charges, marijuana arrests, violent crimes, weapon violations, and other charges. I have been selected by the National Academy of Criminal Defense Attorneys as a top 10 criminal lawyer in Ohio. I was selected by Columbus CEO as a top lawyer in Columbus. Super Lawyers listed me as a rising star Super Lawyer. I was selected by the National Advocacy for DUI Defense as one of the best DUI attorneys in the nation. The National Trial Lawyers Association has selected me as a top 100 trial lawyer in the country. Avvo awarded me with the 2015 Client Choice Award. by National Patent Analytical Systems, Inc.
During your free consultation, Brian Joslyn will personally help you understand the charges you face and begin building a solid defense strategy. Major credit cards, checks, and cash accepted. For more information on rates and payment plans for cases throughout Ohio, call 614-444-1900. 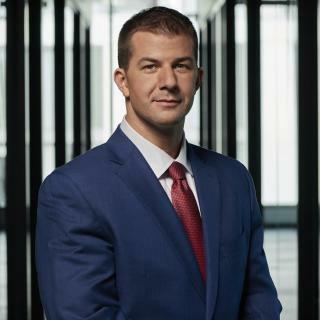 Brian Joslyn's personal story for becoming a criminal defense attorney. Introductory video for the Joslyn Law Firm. On August 12th, 2013, U.S. Attorney General Eric Holder spoke about a docket program which would end mandatory sentencing for drug offenders, getting them out of prisons and into treatment. 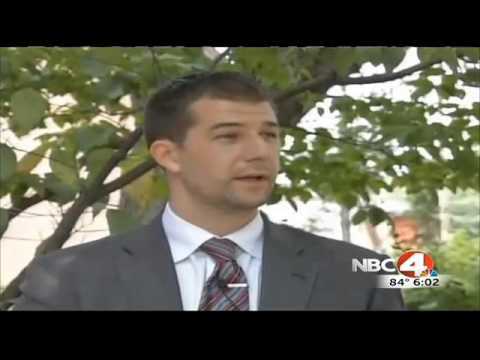 Columbus defense attorney Brian Joslyn shares his insight at 1:48.